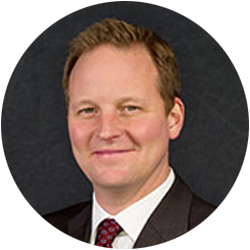 Mark joined Regency Wealth Management as a Partner in 2010 after a five-year affiliation with LPL Financial and five years with Waddell & Reed as a Financial Advisor. He received his B.A. from Calvin College with a double major in Business and Psychology in 1995, then graduated from Fairleigh Dickinson University’s Financial Planning Certificate Program in 2003. Mark completed the requirements for the CERTIFIED FINANCIAL PLANNER™ Professional and Chartered Mutual Fund Counselor (CMFC) designations in 2004. He is a current member of the Financial Planning Association (FPA) and The Greater New Jersey Estate Planning Council. Mark has held active roles as Trustee with various Non-Profit Boards throughout the years including past service with The Foundation for Eastern Christian Schools and the NJ/NY Chapter of the Calvin College Alumni Committee. His current Board appointments include the Christian Health Care Center, Eastern Christian School Association, the Bergen County Chapter of the New Canaan Society, and New York City Relief. He is also an accomplished musician and performer with several church-related groups, and is a member and former Deacon of Covenant Christian Reformed Church in North Haledon where he currently serves as a Worship Leader. When not working or volunteering, Mark enjoys spending time with his wife Pamela and their five children.